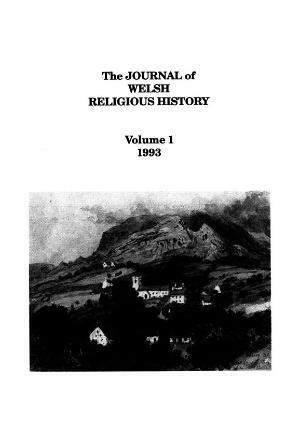 The Journal of Welsh Religious History is an English-language journal containing academic articles, reviews and news relating to the history of Christianity in Wales. Two series were published: First series, Vols. 1 (1993) to 8 (2000); new series Vol. 1 (2001) to Vol. 4 (2004). Publisher Details: The Journal of Welsh Religious History is published by the University of Wales Press on behalf of the Centre for the Advanced Study of Religion in Wales, Bangor University, and previously the Welsh Religious History Society.